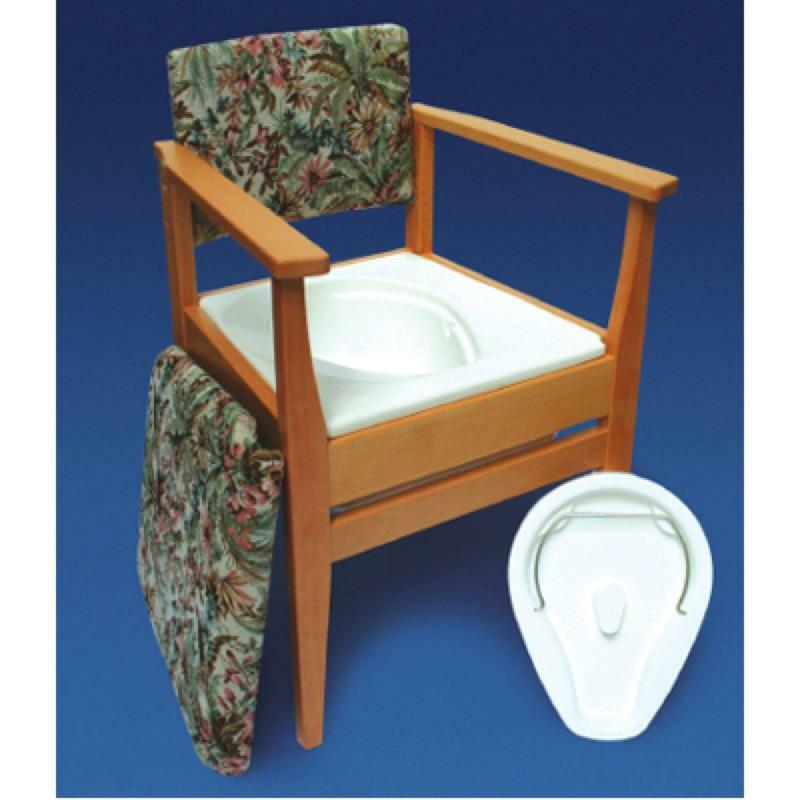 The Deluxe Commode combines the benefis of an attractive, hardwood framed, contemporary styled chair with the convenience of a discreet commode. The seat and backrest are padded with vinyl which is easy to clean and is also removeable. The cassette that contains the potty can easily be removed and the lid seals for easy transportation. The inner plastic tray can also be removed to convert the commode to an ordinary houshold chair. Available in four different colours - Flower Basket (pictured), Navy, Sapphire and Oat.